I can’t believe that today I am 7 months pregnant, it only seems like last week I was writing about my 6 months of pregnancy! only 2 months to go, or if we are working in weeks I am 31 and half weeks! Our little man is going to be here before we know it…well that’s what everyone keeps saying to us! It’s been a great month, productive but we still have so much left to do! For a super organised person like me the baby spreadsheet keeps calling to me, with some of the jobs for February and March still left to do, let alone starting on Aprils jobs! However I am still loving the whole experience and really trying to soak in every moment. This may be the only time I am pregnant, who knows. We are still hoping that we will be lucky enough to have another baby once this little man has been born but with the problems we had conceiving this one, I guess nothing is ever certain. For that reason I am embracing pregnancy and really trying to make the most of it! I am pleased to say my baby bump is coming along, my waist line is growing on an average of half an inch a week, and I have at last put a bit more weight on. I went 4 weeks and only gained a pound, which sounds great but I have to say I was a tad worried. Anyway I weighed myself this week and I have gained another 3 pounds taking my total weight gain up to a stone, so I feel I am more on track. People keep commenting on how tiny the bump is, but to be honest it feels huge to me. However I know I still have 2 months to go and I’m pretty sure I’m going to balloon out in the next 8 weeks! We’ve had another scan at 29 weeks and the baby is grown fine, all the measurements are as they should be which was a big relief, especially when I wasn’t putting any weight on myself. I also had to see my two consultants and it seems that my blood levels are all OK no need for a transfusion this month. I am back to see them in a couple of weeks, then we have our last scan booked in for 2nd June (Nik’s birthday) 2 weeks before baby Hood is due. In terms of getting stuff done, my maternity cover is now arranged and my new assistant has started so I can go off for the planned 3 months safe in the knowledge that my work is being looked after! Such a hard thing letting go and leaving the blog in someone else’s hands! We had our 2nd Hypnobirthing class and I am now convinced that I can have the pain free birth that it teaches you to have. I will be talking about hypnobirthing on the blog over the next few weeks, but it truly is amazing. Through deep relaxation and breathing many women have had pain free stress-free births; I just need to spend the next few weeks practicing the right techniques to get through the delivery! We had a big spurt of buying stuff. This came after we found out the pram we had earmarked had been discontinued. We had specifically looked for a pram that could accommodate 2 babies/toddlers as we are planning on trying for another baby pretty soon after this one is born. 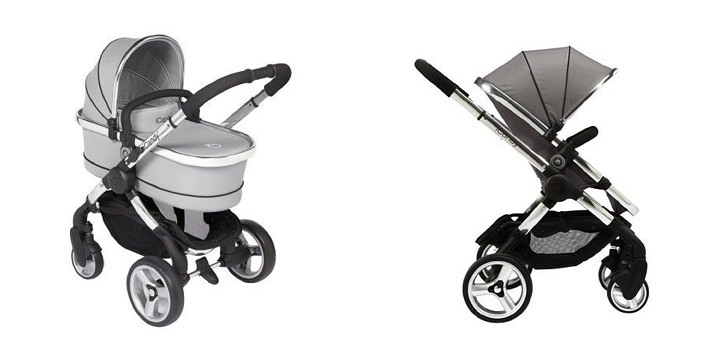 There aren’t that many options out there for twin prams/travel systems so we were gutted when we found out that the icandy peach to blossom in silver mint (our colour of choice) wasn’t available any more. Anyway Nik worked his magic and found the last one in the country in a shop in oxford. So about 3 weeks ago we drove down one Saturday to pick it up. A 6 hour round trip but it was worth it! After this we went a bit wild and bought quite a few bits. 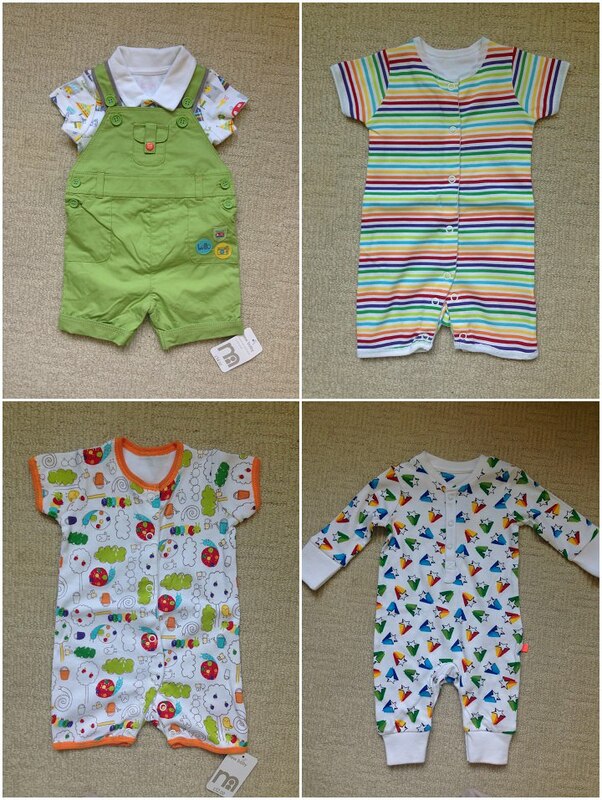 We had already bought the nursery furniture, so we then got all the nursery accessories, bedding, grow bags, mobile, changing mat etc. As well as the Moses basket and baby bouncer, monitor and bottles. We still have quite a few other bits to get but we have researched them all and know where to find them. Once thing I have found hard to resist is all the cute clothes! I really have to stay away from the shops otherwise I’d buy them all! 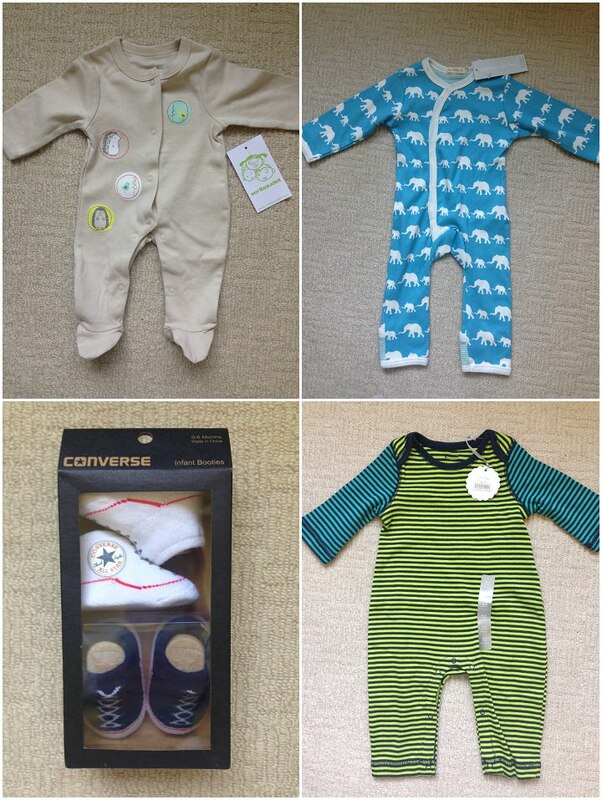 Here are a few of my favourite bits we have bought this month and had given to us as presents. I cannot tell you how much I am loving my tummy moving about. Baby Hood is a right fidget and spends a lot of his time, stretching his feet and arms around. I often sit and watch my tummy moving about, like something out of alien! He is now facing downwards so his feet are right in my ribs, and he often gives me a good whack. This happens after certain foods, when I’m sitting in a certain positions, and as much as it can sometimes be uncomfortable I just love it! I have to say my back is killing, Poor Nik is instructed each night to give me a back massage it is aching so much. It gets worse as the day goes on. I’m sure all pregnant women will be able to empathise with this! My Diaphragm is in constant cramp and feels like its being crushed, which I guess it is! I actually feel like I’m about to burst! Swollen ankles and feet, need I say more! I have to say though that the backache and the rib crushing is the only down side, the rest of it has all been amazing. 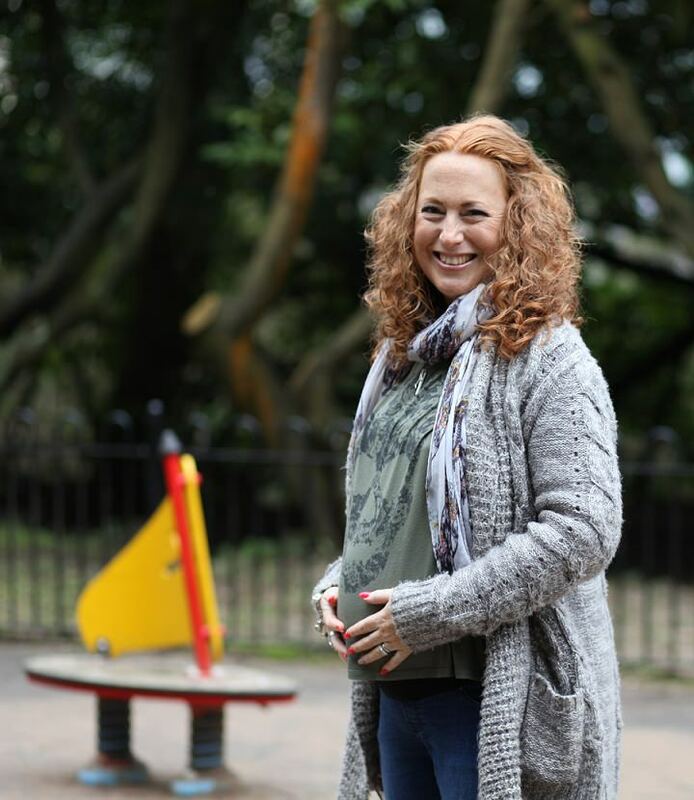 People have commented how much pregnancy suits me, which is lovely to hear. Nik seems surprised every day at how much I am taking to it, fingers crossed that motherhood suits me just as well! The next two months will go in a flash I’m sure. We have a lot to get done this month, lots of appointments and lots of people to see. Then the last month we are planning on chilling out, staying close to home in case he comes early and really trying to relax before he arrives! 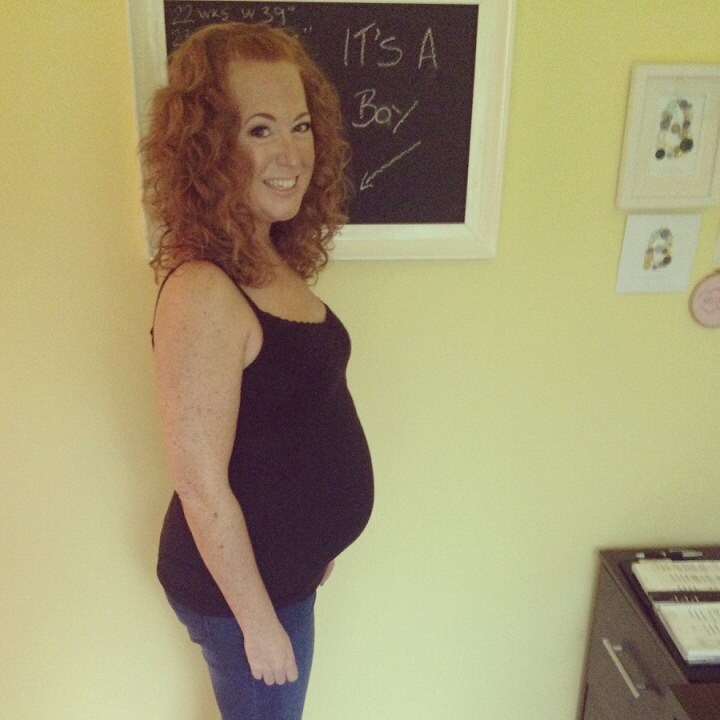 I am 32 weeks pregnant – also suffering with awful rib crushing and back pain but loving every moment!! We don’t know what we’re having so quite hard to buy stuff! We have a few essentials but still loads to do. Roll on maternity leave in 5 weeks!! Lovely to read how you are getting on Kelly. We have bought virtually nothing yet (at almost 27weeks) so I’m starting to think we should get a move on. It’s all a bit daunting! I’ve gained a stone now too, which feels fine so far and I’m thinking if I gain a pound a week for the remainder I’ll be on track for 2 stone which seems ok. I’m not really denying myself anything so I’m really hoping breast feeding does the trick at shedding the pounds! Thanks Katie. yes I have to admit as much as I love my job I am looking forward to my maternity leave! Hope your back pain isn’t to bad. It’s the feet in the rib cage that is getting me at the moment!